If you’re thinking about buying travertine thresholds from your marble floor supplier, don’t! 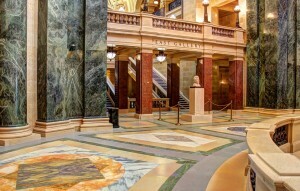 Stonexchange specializes in providing quality natural stone travertine and marble thresholds to developers, contractors, architects, and designers at an affordable price that beats our competitors. We own our own quarry. This is a big deal! In addition to owning our own quarry in Turkey where the finest travertine stone is mined, we also have direct access to quarries in over 7 continents. What this means for you is that you’re not only getting a quality threshold, we see to it that you’re getting one that is consistent with the market’s demands. Since travertine is an organic stone, the team at Stonexchange goes through a thorough quality assurance assessment to ensure that you won’t receive a different shade of travertine. This is something that rarely happens since we own our own quarry and the stones are mined from the same location. That said, we still make sure that your supply of travertine thresholds remain consistent throughout the lifetime of your order with us. Many of our clients return for recurring orders. Contractors who are invested in building a fleet of residential homes typically like to stay with the same kind of interior finishings as a signature to their work. Even with commercial builds, especially skyscrapers, it’s imperative that the interior finishes remain consistent throughout the building. Going with a distributor who does not own their own quarry is a risk, because you don’t know exactly where they’re getting their supply of travertine thresholds from. With these kinds of suppliers, you run the risk of getting a mosaic of travertine thresholds. We focus on selling only thresholds. Installing interior finishing items like travertine thresholds can oftentimes be approached as a last-minute upgrade. As a result, they are often purchased as an add-on to the travertine floors a contractor may be installing. Purchasing travertine thresholds this way might not be the most cost-efficient way of stocking your warehouse. With Stonexchange, we specialize in a niche area in the construction industry—one that building contractors, architects, and developers cannot ignore. Focusing on distributing travertine thresholds has allowed us to reduce our prices dramatically while still making a profit. Instead of pocketing these profits, we realize the value in offering those extra savings to our customers. As long as we continue to offer affordable savings, we are sure to have repeat business and our customers will always be able to depend on us for the best savings for travertine thresholds. We only supply the top selling selections. Our niche is small, and our selection of thresholds is even smaller. We only supply one kind of travertine threshold because that is what contractors and developers want. We see no sense in stocking different grades of travertine thresholds if it’s just going to sit in our warehouse and collect dust. Contractors know what sells and they buy a lot of it. Therefore, as a wholesale manufacturer and distributor, we will stock enough of it so that we will always have a supply to ship out at a moment’s notice. If you’re interested in learning about other kinds natural stone thresholds Stonexchange carries, visit our website here. We custom cut our natural stone thresholds. When it comes to purchasing travertine thresholds, you need to know which kind to buy. Stonexchange stocks the standard size travertine thresholds up to 74” in length with a ¼” bevel ranging from ¾” to 3/8” in height, and 2” to 6” in width. Once you’ve decided what size you need, then you need to determine what kind of travertine threshold to purchase. Select from: Standard Double Bevel, Single or Double Hollywood (Handicap) Bevel. What Kind of Travertine Thresholds Should You Stock? Many contractors tend to lean toward the Standard Double Bevel, but for contractors who are slated to design commercial builds, they must be more conscious of adhering to the ADA standards. As a result, many of them stock a good share of Hollywood travertine thresholds. If you need a threshold that we do not readily stock, then we can custom cut a supply for you. You must keep in mind that we manufacture all of our custom travertine thresholds at our quarry. This means that you will need to allow 2-3 months for us to manufacture and import them. If you know that you’ll be building a custom structure that requires an unusual threshold size, contact a Stonexchange representative immediately to begin the ordering process. Stonexchange’s warehouse is based in Miami, Florida, near the Port of Miami—conveniently placed to receive an ongoing shipment of quality thresholds from overseas. This means that you won’t ever have to worry about us ever running out of stock. Remember we own our own quarry, so there’s always a consistent supply of quality travertine thresholds coming in, and there’s always a ongoing supply getting shipped out in the Miami area since we only stock the most coveted kind of natural stone thresholds in the market. All of these facts points back to why we’re able to provide you with a quality product at a discount price. Look to Stonexchange before buying your supply of travertine thresholds anywhere else. We guarantee that you will not be disappointed with our product. Call and place your order for travertine thresholds today at 305-731-2400 or contact us online with any questions.